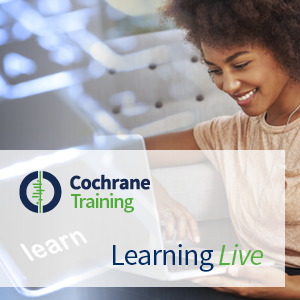 This special methods webinar, part of the Cochrane Learning Live webinar series, is about new methods for aggregating evidence and may therefore particularly appeal to clinicians and to methods experts. No specific knowledge of evidence aggregation methods nor of statistical methods is assumed. The webinar is presented by Professor Anthony Hunter (Professor of Artificial Intelligence, University College London) and Dr Matt Williams (Consultant Oncologist, Charing Cross Hospital / Imperial College London). The webinar was delivered in October 2016. Below you will find recordings of both presentations as well as copies of webinar slides for download [PDF]. Computational models of argument are being developed to capture aspects of how we can handle incomplete and inconsistent information through the use of argumentation. In this webinar, we describe a novel approach to aggregating clinical evidence using a computational model of argument. The framework is a formal approach to synthesizing knowledge from clinical trials involving multiple outcome indicators. Based on the available evidence, arguments are generated for claiming that one treatment is superior, or equivalent, to another. Evidence comes from randomized clinical trials, systematic reviews, meta-analyses, network analyses, etc. Preference criteria over arguments are used that are based on the outcome indicators, and the magnitude of those outcome indicators, in the evidence. Meta-arguments attack (i.e they are counterarguments to) arguments that are based on weaker evidence. An evaluation criterion is used to determine which are the winning arguments, and thereby the recommendations for which treatments are superior. We have compared our approach with recommendations made in NICE Guidelines, and we have used our approach to publish a more refined systematic review of evidence presented in a Cochrane Review. Our approach has an advantage over meta-analyses and network analyses in that they aggregate evidence according to a single outcome indicator, whereas our approach combines evidence according to multiple outcome indicators. Mulitiplicity and subgroup analysis- Beware!